This cube is an excellent puzzle with a very nice structure.It has 2 against arrows on each side.I have been working on it for almost 6 months.I was facing problems because i couldn't manage the arrows outside with a decent and clever lock...until now! 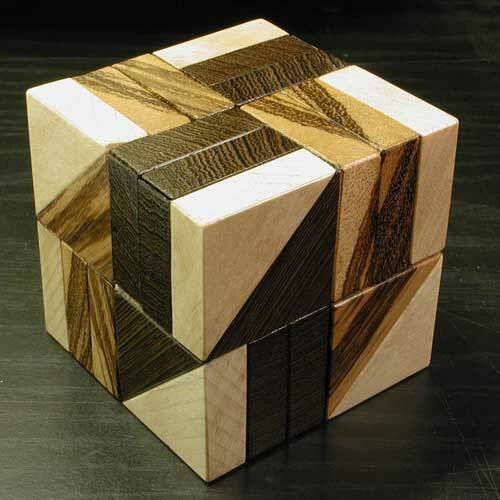 A very attractive puzzle, as i always try to make,and a difficult one too! !What else could you ask? See more pics of"the 8 arrows cube" puzzle.or Back to puzzle index.